All it takes is one flicker for the panic to set in. You begin to ask yourself, “Is my bulb about to go out?” It’s possible your light bulb is at the end of its life, but in the case of bulbs with external ballasts or drivers, it could mean the exterior hardware is to blame. Before you toss that bulb in the trash, take a look at some common signs and causes of ballast failure. How do you know your ballast or driver is toast? You don’t. But there is a good chance your ballast could be the cause of your lighting woes if your lights are dim, buzzing, changing colors, or flickering rapidly. You should check all parts of the fixture, including the bulbs. However when checking the ballast, any burn marks, swollen casing, or (in the case of “ye old” magnetic coil ballast) leaking oils are obvious signs of failure. If you’re still unsure your ballast has bit the dust, then you need to get your hands on a brand new bulb. This is a trial and error method. Take out your current bulbs and replace them with the new bulbs. If the bulbs fail to light up, then 9 out of 10 times the ballast is culprit. You could also try using a multimeter set to measure resistance. A multimeter is an instrument designed to measure electric current (amps), voltage, and usually resistance (ohms), typically over several ranges of value. It combines the functions of a voltmeter, an ohmmeter, etc. and can be analog or, more commonly, digital. One probe of the multimeter should touch the hot wire connections, while the other touches the neutral wire connections. If the ballast is good, an analog multimeter has a needle that will sweep to the right across the measuring scale. If the ballast is bad, then the needle won’t move. If you’re using a digital multimeter, often the digital readout will possibly list a “1” when it doesn’t find a measurable resistance. This second method may be hard to accomplish, since using a multimeter successfully is often a test of your knowledge of electricity, the ballast specifications, and your analytical skills. Premature ballast failure is often caused by the surrounding environment. Heat and moisture are enemies #1 and #2 to your ballast. Every ballast has an ambient operating temperature range and UL location rating. When it’s too hot or too cold, the ballast can burn or fail to start your lamps at all. Heat combined with prolonged condensation inside an electronic ballast can cause corrosion. Some people may suggest removing the parts of the ballast casing and cleaning the electrical board. However, if you are unable to put the ballast back together, you will be looking for a new ballast. To avoid this scenario, make sure your ballast is UL rated for damp or wet locations if necessary and can handle the high and low temperatures of your local climate. Lighting Tip: LED drivers are more than likely to have shorter lifespans than your LED array or fixture. 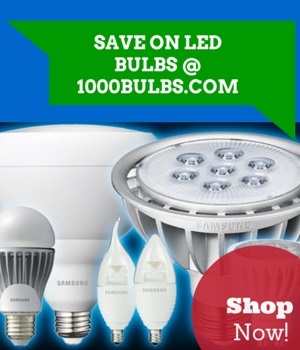 Compare bulb and driver specifications before purchasing. Most likely, a failed LED driver will just stop transmitting power to your LEDs. But a failing LED driver could also send more power through your LEDs than they can handle (aka overdriving), overheating and ultimately frying your LED array. An LED driver that is sending a very low amount of power, or an excessively underdriving, will cause light quality and output to suffer. Similar to ballasts, LED drivers can suffer from heat and water damage. LEDs and their components are particularly susceptible to heat. The power a driver restrains eventually becomes heat and the resulting build-up can take a toll on the driver’s functionality. LED drivers also have ambient operating temperature ranges. The efficiency of an LED driver is significantly affected when you exceed the recommended temperatures. Just like ballasts, not all LED drivers are damp or wet location rated so make sure your LED driver is rated for rain or shine. Are you still troubleshooting your lighting mystery or need inspiration for your next DIY? Find advice, ideas, and the occasional lighting joke on our Facebook, Twitter, Google Plus, LinkedIn, or Pinterest. The staff of 1000Bulbs.com welcomes your head-scratching and eyebrow-raising problems. Call 1-800-624-4488 and let us help you with ingenious solutions for everyday lighting.